Do you wake up with headaches, or teeth or jaw pain? If so, you should visit our Reading, PA dental office for an examination. You may be in need of night guard, and if so, we can provide you with one designed to improve your oral health and even your quality of sleep. To learn more, call 610-844-9825 and schedule an appointment with our 19605 dental office. 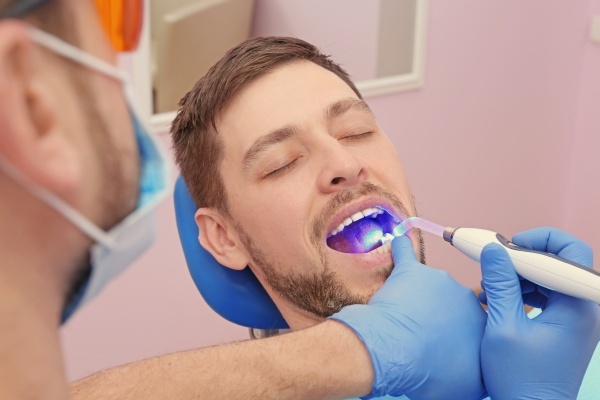 At Muhlenberg Dental Associates, we provide superior level care and will use the latest in dental technology to ensure your teeth and gums are as healthy as they can be. Fitting patients with a night guard is often part of that process. These small pieces of plastic are designed to fit securely around your teeth. They are actually quite small and can fit in the palm of your hand. Typically, they are made of clear plastic, so they will not stand out when you wear them. This is excellent news for those who are self-conscious about appearance but want to save their teeth. 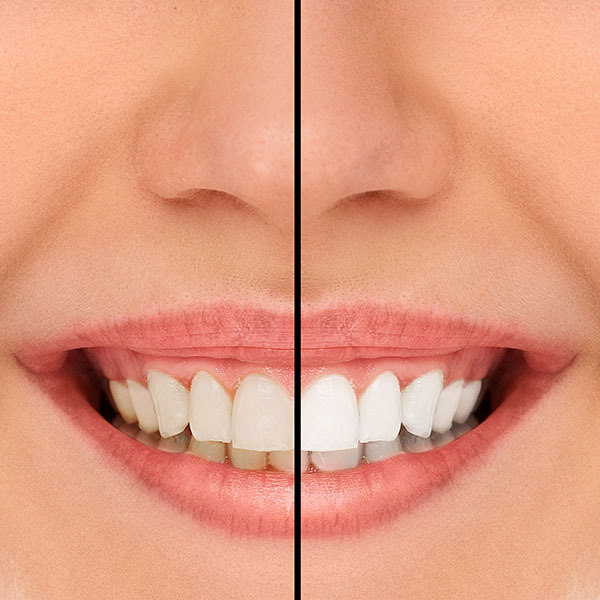 To see what one looks like, visit our 19605 dentist office. If you are grinding your teeth at night – yes, you do. At Muhlenberg Dental Associates, we believe in the value of preventative care, and night guards are one of the ways we can prevent you from damaging your teeth. Since you only get one set of permanent teeth, allowing them to be ground down is unwise. The discomfort you will suffer and the cost you will incur to repair your teeth is simply not worth skipping out on this easy, preventative measure. We know that not all of our Reading, PA patients enjoy the idea of wearing a guard, and we will not recommend doing so unless we are certain that it will be useful in solving your problems. Check out what others are saying about our night guards on Yelp: Night Guards Reading. Nighttime teeth grinding can cause severe headaches and tooth pain in the morning. If you are regularly waking up in pain or feeling uncomfortable, this can be a sign that you need to wear a guard while sleeping. At Muhlenberg Dental Associates, we have found that many of our patients feel significantly better after wearing their guard for just a few days. The key is to continue wearing it every night. While some grinding is caused by stress or tension, there is no way to tell exactly what causes people to grind their teeth or to stop the body from attempting it. This is why continued use of the guard is necessary. Severe grinding or jaw clenching can lead to TMJ disorder. This can be incredibly uncomfortable, typically starting out as a sore jaw in the morning with the occasional headache. If you experience these symptoms or have face pain, neck pain, or your jaw hurts while eating, call 610-844-9825 to schedule an appointment with our Reading office right away. It is critical that you treat TMJ early by wearing a night guard and preventing your teeth from clenching or grinding in your sleep. Otherwise, TMJ can become severe. At this stage, some people find it difficult to even open their mouth, let alone eat or speak normally. Yes, night guards created by Drs. Atul and Sonal Naik are incredibly comfortable because they are designed using your measurements and exact specifications. The material we use is durable, yet comfortable enough to wear at night, without interrupting your sleep. There are oral appliances that are used to treat sleep apnea. This is different from a standard night guard. However, we can provide you with more information when you visit our Pennsylvania dentist office. If you take good care of your night guard, there is no reason that it should stop working. That is, if you buy one made of strong material. The type of guard that you can buy in the store is not designed to last forever and will typically give up after six months to a year. A dentist-made night guard can last for years, sometimes even decades. At Muhlenberg Dental Associates, we also recommend that you store it in a safe place. We will give you a hard case, and that is the ideal place to keep it. Most of our Reading, PA patients put their night guards in a case and keep it in their nightstand drawer. Out of the way, it is unlikely to get lost or taken by a child or pet. If you travel a lot, you may want to have two created so you can keep one at home and one in your carry-on bag. To learn more about night guards and how they can help you, call our 19605 dental office to schedule an appointment. You can reach us at 610-844-9825.